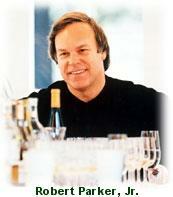 Deacon Dr. Fresh Wine Newsletter: Robert Parker in Toronto to Sign Fight Deal! Greetings Children of the Vineyard! Deacon: Ok...so you are accepting and we're set to go? Deacon: No, Cracker! Are you ready to face me in the Octagon? Parker: ...Oh that...yeah...I guess...November 19th right? Deacon: Yeah. Now listen Mofo...I just got off the phone from Mandalay Bay and I'm wondering if it's big enough for the both of us. Another option is the MGM Grand. They have a huge venue too. This is gonna sell out you know! Deacon: So who's gonna be your second? Are you going with Mondavi? Deacon: Ok. So you'll come to Toronto when? Parker: Next week...probably the 27th of October...But look! We have to cover this somehow. Nobody can know I'm in Toronto signing a fight-deal! Deacon: Well what about that Grand Cru Culinary Wine Festival that the crackerjack mofos didn't invite me to? You can claim you're in town for that, right? I mean those fifteen hundred a ticket crackerjack, peckerwood, jank-mofos would love to have you there, right? Parker: That's true...ok...that'll be our cover...We'll meet when I'm in Toronto...I'll call you from the airport and you can pick me up. Deacon: Yeah, and you can bite me! Grab a cab! Put your hand in your pocket for once, Cracker! So keep watching the news. More as the story develops. Glad you liked our Unfiltered Pinot Noir (and the '04's will be excellent as you suggest). If you'd like to taste our killer 02 Speck Family Reserve Pinot (1 kg/vine -- basically 1 bottle per vine) please send me an e-mail. I'll be at the Gourmet Show and will try to arrange a taste if you're around. Zoltan and Billy are both familiar with it if you haven't had a chance to try it. It's also available through Vintages or the winery. Thanks for the invite. The Deacon firmly believes that the Niagara terroir is capable of producing some truly great Pinot Noir. Henry of Pelham has produced the lurchest one to date.